I’m at a very interesting point in my learning of Android: Netrunner. I know I like it. I’m pretty sure I know, theoretically, why I like it (interesting, asymmetric narrative mechanics). But 90% of the time I’m playing, I still feel lost in the nuts and bolts of the rules. The other 10% is so wonderful, though, that I’m going to use my influence to make sure we keep coming back to the game as often as possible over the summer. Also, there’s there’s the matter of remembering how OCTGN works. The usual time: Thursday, June 12, at 9:30pm EDT / 6:30pm PDT; voice chat over Skype, game play on OCTGN. 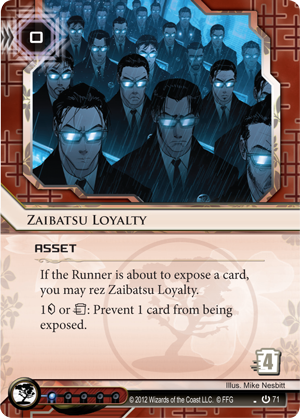 This entry was posted in Playversation and tagged Android: Netrunner, Game-session. Bookmark the permalink.